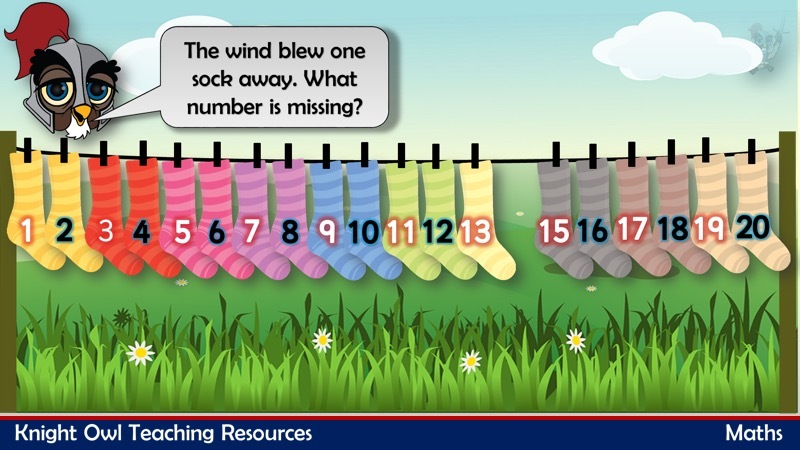 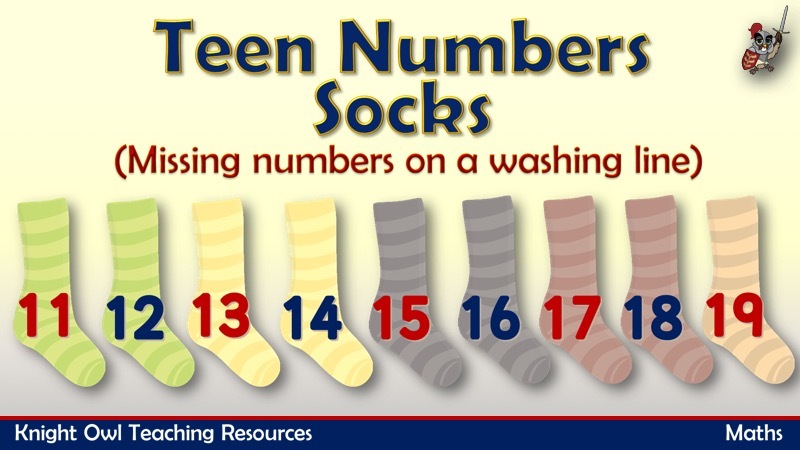 Work out which teen number sock is missing from the washing line? 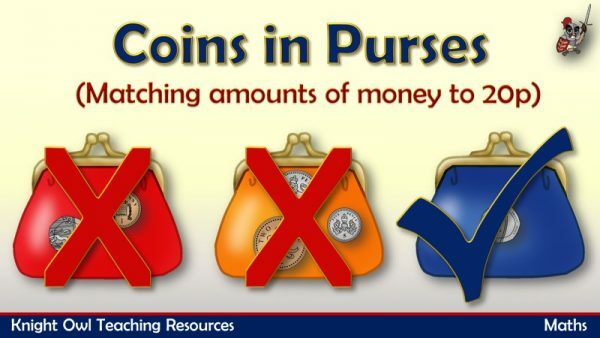 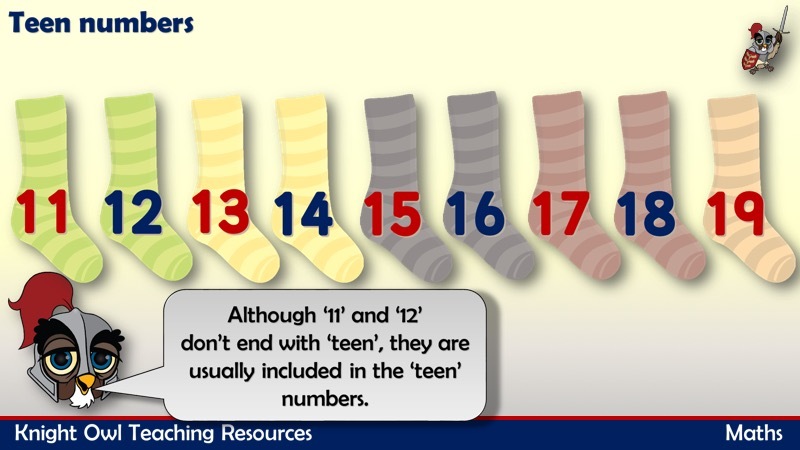 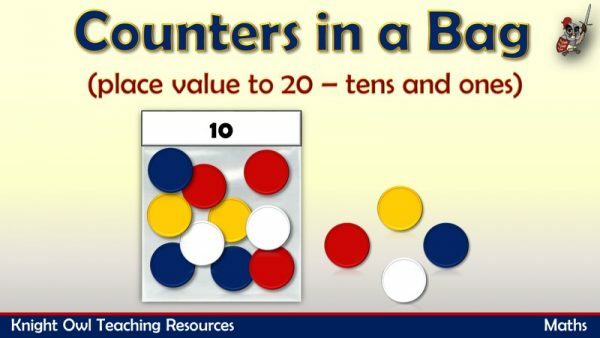 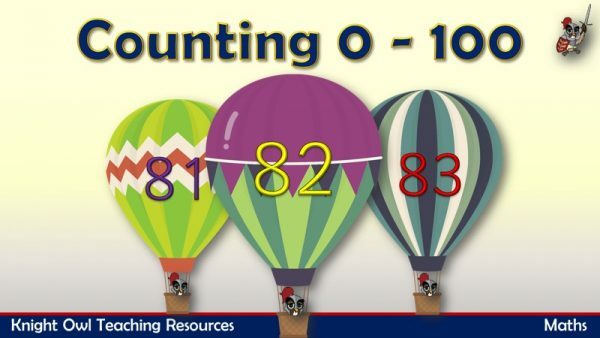 A powerpoint to help children understand ‘teen’ numbers and the order they come in. 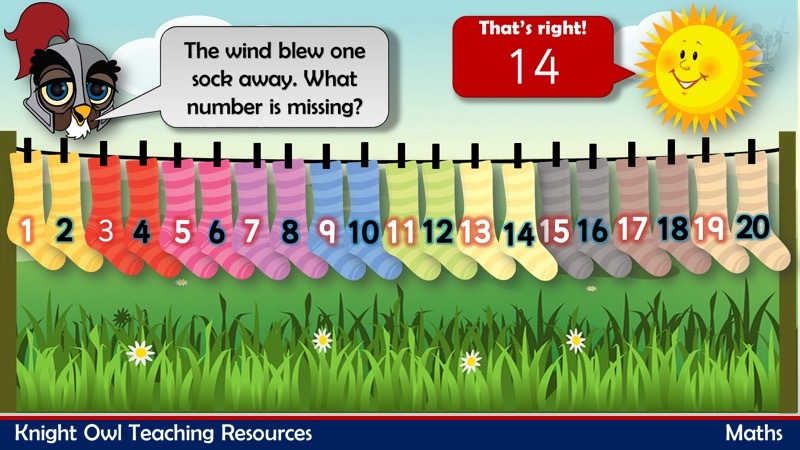 The children have to identify the missing teen number sock on the washing line.